Our thanks to classmate Eileen Keyes (now Eileen Wernsman) for organizing this unofficial reunion. It was held on September 1, 2016, in the beer garden called The Landing. 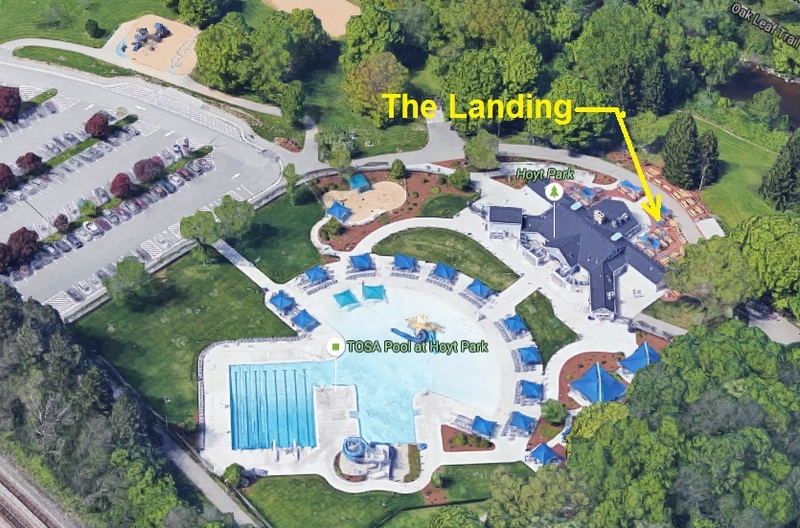 It sits next to the all-new Hoyt Park Pool. It is really nice venue so we're hoping to do future unofficial reunions here. In attendance that evening were: Eileen Keyes, Juliana Spring, George Karioris, Gene Hanson, Gerry Abshire, Tom Boyle, Bill Hanson, Barb Schroeder, and Sandy Lebesch.